Place the eggs into a saucepan and cover with water. Cover and bring to the boil. When the water begins to boil, uncover and start timing for 10 minutes. Drain and cool under cold water, then peel. Roughly chop the eggs. Combine the sour cream, yoghurt and mustard until smooth. 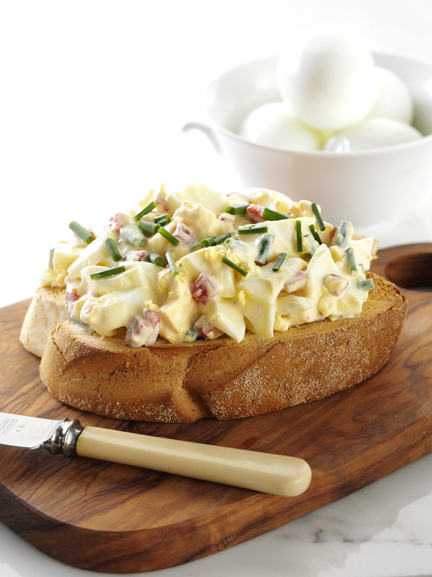 Stir in the chopped egg, chives and char grilled or roasted capsicum. Pile onto the rye bread as an open sandwich. Sprinkle with extra chives.